The Kent Excellence in Business Awards launch event is being held at the Shepherd Neame Brewery in Faversham on 12th January 2012. So, a not to be missed opportunity to visit a brewery, but also a great way to celebrate our win last year with a chance for Luke to speak about his experience as the KEiBA Young Entrepreneur of The Year. Its been a hugely positive year for Luke, as well as a big boost for Sleeping Giant Media’s profile. We’ve picked up several significant new clients, and continue to expand the SGM team with a highly optimistic outlook for 2012. 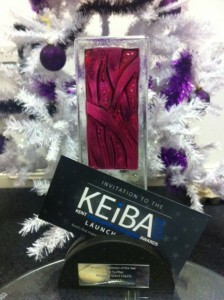 KEiBA has grown significantly in size and stature, now in its fourth year, it’s increasingly well recognised outside of Kent as a leading business award. The judging process this year will doubtless be equally as rigorous, and the number and quality of businesses entering are set to continue to grow. We’re looking forward to putting all our efforts into winning the Best New Business, Best Business from the Creative Industries and Entrepreneur of the year awards for 2012! Check out how the launch event unfolded here.